I Scoles, del et sculp. 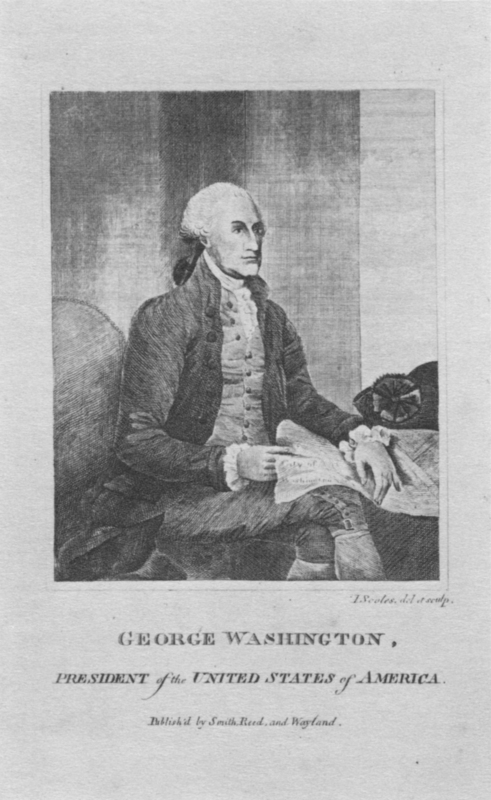 / George Washington, / President of the United States of America. / Publish'd by Smith, Reed, and Wayland. Published in: (i) William Winterbotham, An Historical, Geographical, Commercial, and Philosophical View of the Present Situation of the United States of America, vol. 1 (New York: Tiebout and O'Brien for Reid, 1795), and (ii) William Winterbotham, A Geographical, Commercial, and Philosophical View of the United States of America, vol. 3 (New York: Tiebout and O'Brien for Reid, 1796).